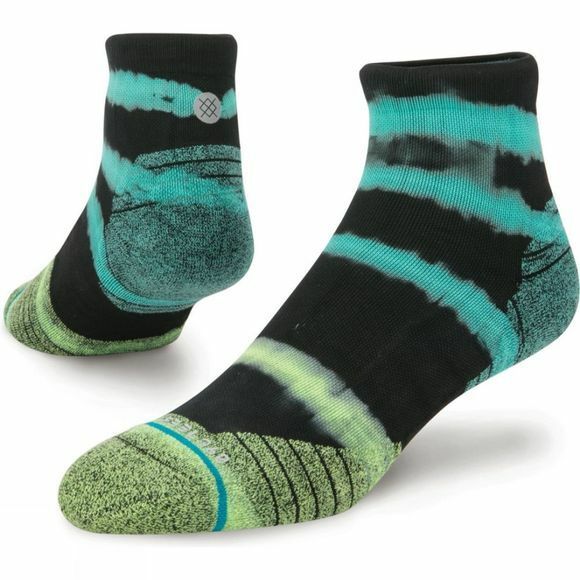 The Kalalau QTR sock by Stance will keep your feet cool as the temperature rises during your run, thanks to its custom blend of moisture-wicking fibres. Air Channel Cushioning uses an articulated foot bed for better padding and airflow to keep you comfortable as you run. The Kalalau QTR features anatomically correct designs for both feet to keep you supported and comfortable.